available on the DOUT data line. suspended until the refresh cycle is completed. rows has to be refreshed in 7.8 microsec when Distributed refresh is used. The refresh cycles are of two types, RAS only refresh and CAS before RAS refresh. selector into the row decoder. There are several different types of DRAMS available. data available on the DOUT line. the external system accepts the current data. such as tables, conversions, programmed instructions for system initialization and operation. ROMs retain data when the power is turned off. ROMs are of different types. 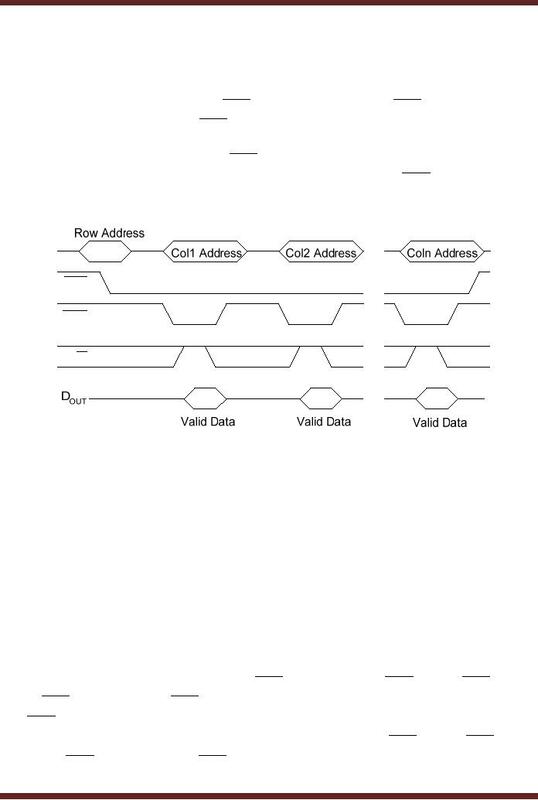 · Mask ROM: Data is permanently stored during the manufacturing process. programmer. The PROM once programmed stores the data permanently. 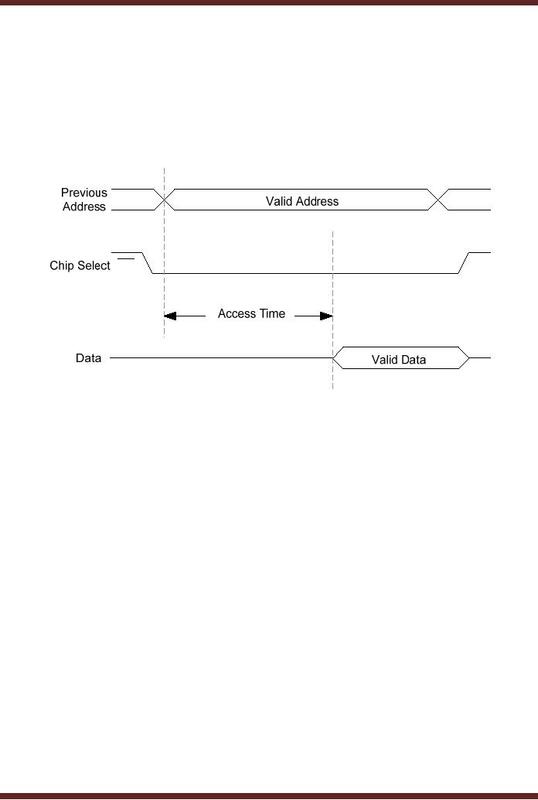 · EPROM: Erasable PROM allows erasing of stored data and reprogramming. programming and doesn't need to be removed from the circuit for erasure or programming. 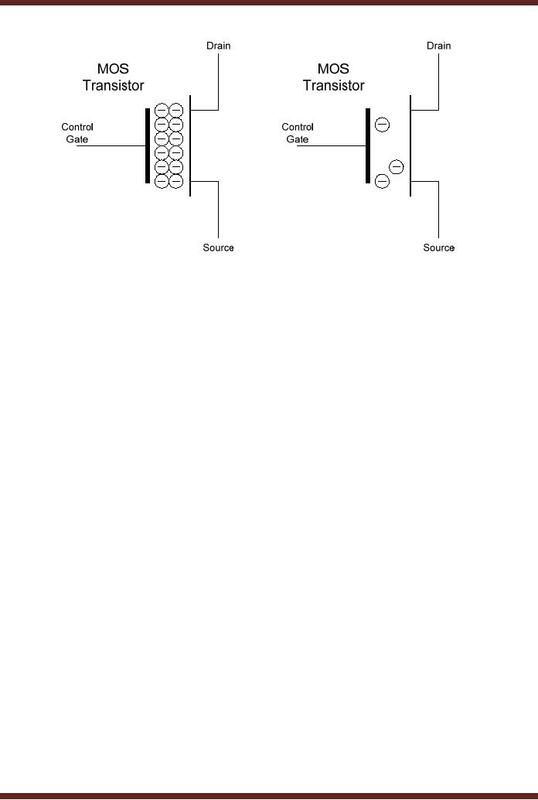 connected to the row line and the output of the transistor is connected to the column line. configured with their Gate connections removed. 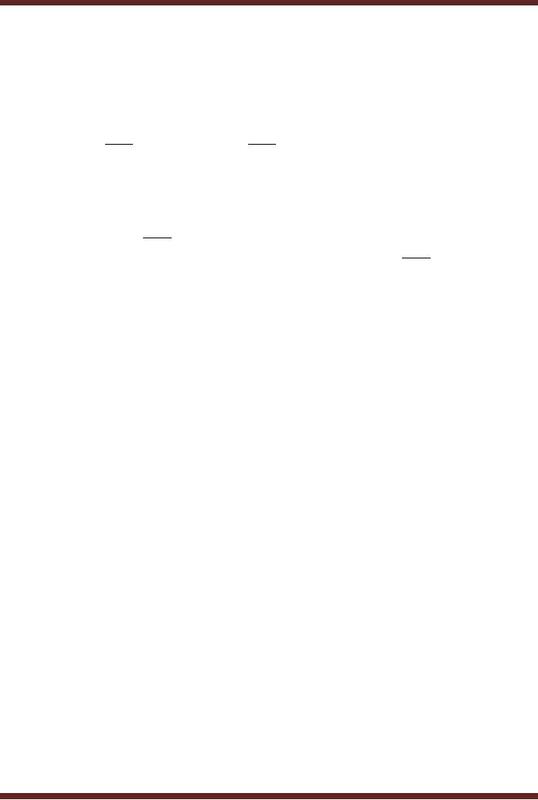 logic 1 on the respective column lines. 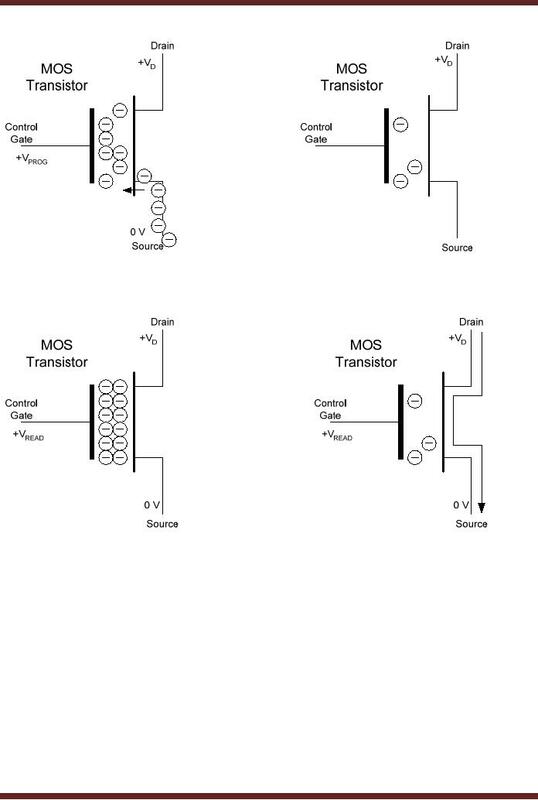 The MOSFETs that are not connected output logic 0.
stays low when a MOSFET outputs logic 0.
location address. Look-Up tables used in computers can be implemented using ROMs. 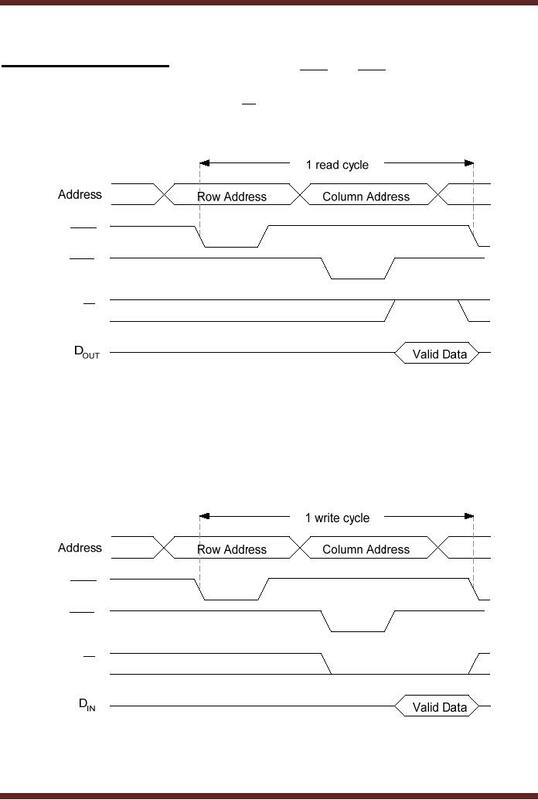 appearance of the data at the output lines when address is already on the address lines. corresponding cell is selected. 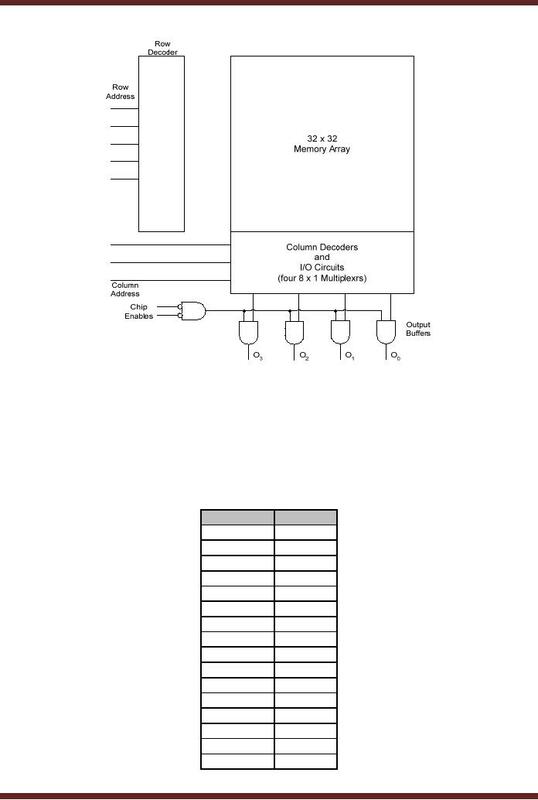 When the fuse is blown the column line outputs a logic low. the removal of gate charge. 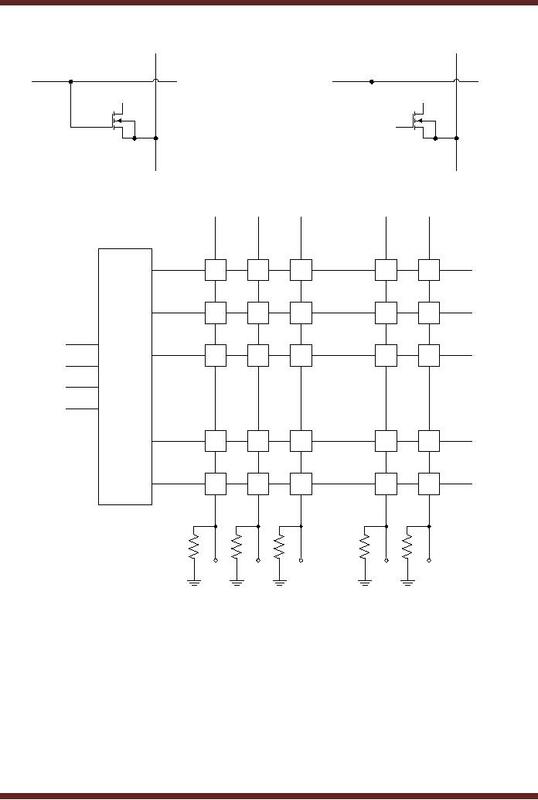 An electrically erasable PROM is programmed and erased by applying electric pulses. 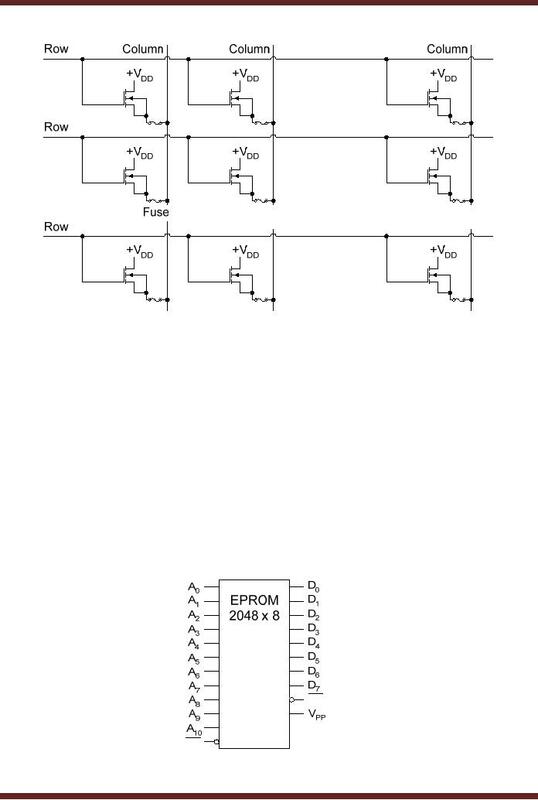 the EEPROM can be rapidly programmed and erased in-circuit. memories have all the mentioned characteristics except for the FLASH Memory. sensed to indicate a 1. The absence of this current indicates a 0. 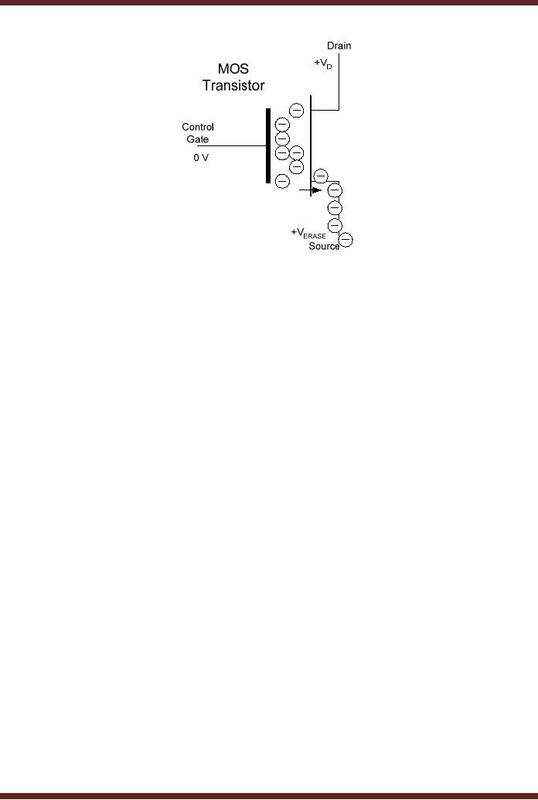 Figure 41.10.
attracts the electrons depleting the gate. 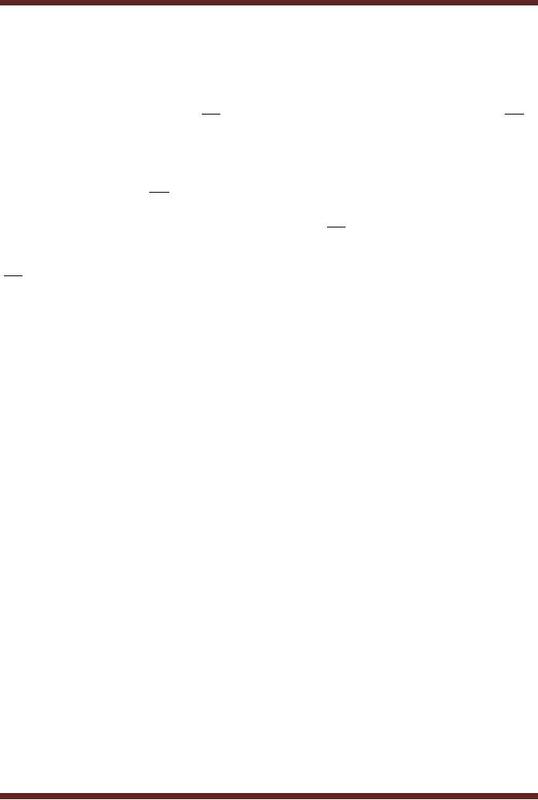 A FLASH memory is erased prior to programming.